Butter has long been looked at as something that is bad for you. Many medical people, even doctors, will tell you to reduce the amount of butter you intake or even get rid of it altogether. This is particularly geared toward people with heart problems or high cholesterol. Well, now things are changing. If you are eating high-quality, real butter it’s not bad for you. Actually it can help your health in a variety of ways. Let’s go over some of the benefits of grass-fed butter. Grass-fed butter is better for heart health. According to a study in Epidemiology, margarine causes a person to run a much greater risk for coronary heart disease. When compared, butter was not associate with coronary heart disease occurrences at all. Grass-fed butter is an awesome source of Vitamin A. Butter contains Vitamin A, which benefits our bodies in many ways. When compared to regular butter, grass-fed butter has even more Vitamin A. This is due to the cow’s healthier diet which includes a focus on grass. Grass-fed butter boosts your energy and suppresses your appetite with MCTs. Butter get you your daily dosage of MCTs (medium-chain triglycerides). MCTs are awesome when it comes to boosting your metabolism as well as supporting your immune system. 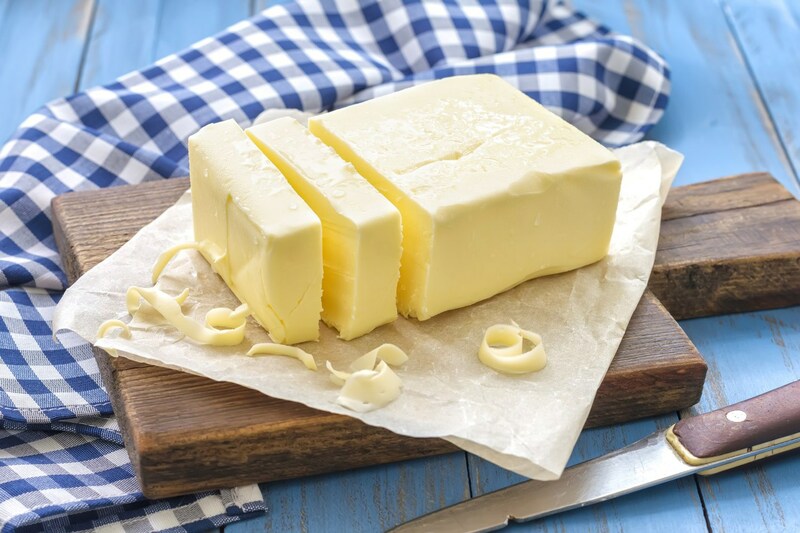 MCTs found in butter are awesome because they are turned into energy, instead of being turned into fat for your body. Also, MCTs have been proven to curb your appetite. If you are trying to lose weight, an appetite suppressant is a great thing to add to your diet. Grass-fed butter is rich in vital cholesterol. Believe it or not your body needs cholesterol. There are many reasons for this including healthy cellular function and it makes key hormones which happen to be vital to brain and nervous system function as well as development. Grass-fed butter helps ward off several different health concerns, when eaten in moderation. Recently there has been a rise in popularity of grass-fed butter. A big part of this is the rise to prominence of bulletproof coffee. Who would have thought? Grass-fed butter is a great food that offers many health benefits. It is more expensive than regular butter or margarine, but if you are able to go for the best option, grass-fed is the best kind of butter.